Did you feel targeted via social media during the election? During the 2017 Election researched showed a huge climb in the number of young people voting. Was this partly due to the social media presence? Well, as we know many young people are hooked to their social media accounts so they are therefore faced with the news and updates of political news and updates. So during the election man young people couldn’t get away from the fact there was an election happening. Whether they were just logging onto their Facebook to chat to a friend or to check out their best mates holiday pics, they would be be instantly fueled with political news, videos and other people’s opinion of who should be voting what. Leading up to the election, many famous actors, public figures, TV stars etc became involved with the social media platform and used this as a way to encourage young people to get voting or at least consider it. there was a huge rise in the use of the hashtag #registertovote and it became the tagline for many posts leading up to the Election. 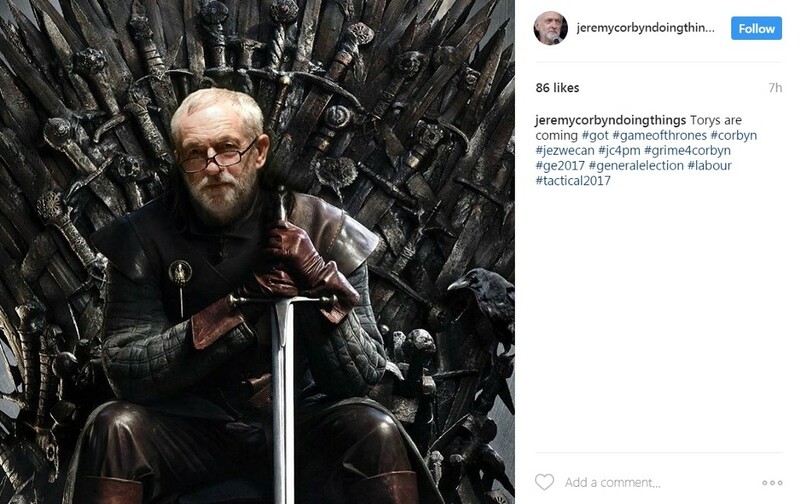 This then caught onto 29,870 Instagram posts and the majority of that figure showed a huge rise to the support for the Labour party. During the start Labour were slightly lower on the official voting polls but were way ahead of the game when it came to social media and their presence on many platforms. Jeremy Corbyn’s was becoming more and more popular with many users of social media refering to him as a #god.